WE HAVE CONFIRMATION THAT THIS BREEDING HAS TOOK!!!! Dillinger ( #DillyDilly ) comes down from two Dual Champion Parents! 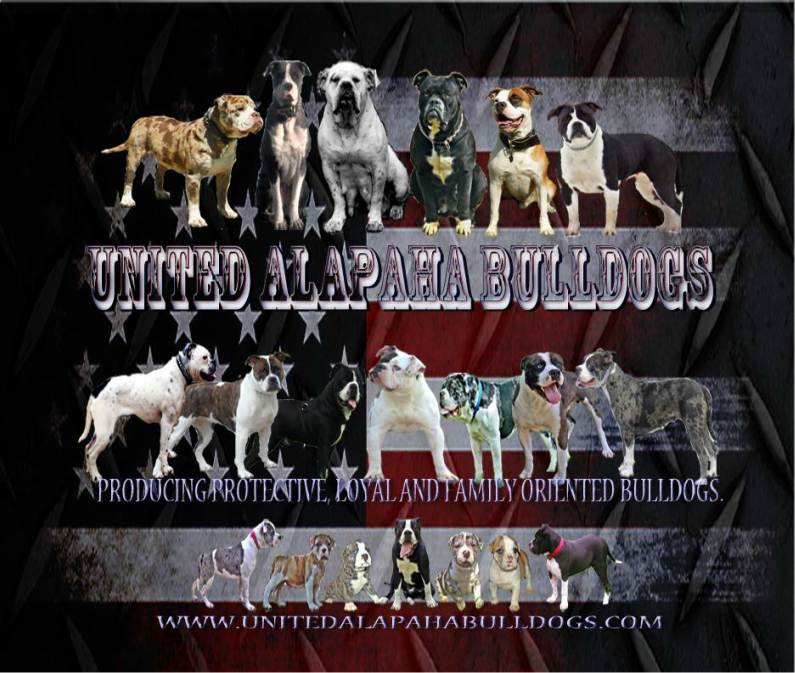 His mother International Champion UAB’S Bella Jade tested with an OFA good hips and was tested at 3 years old making Dillinger a 2nd Generation OFA tested dog with a rating of GOOD or better making it the first time in the breed. Dillinger has (currently) the tightest PennHip of the breed with a right .29 and a Left .37 (BREED’s MEAN IS .60) while being genetically tested and CLEAR for DM, NCL, PLL, and Ichthyosis. He has also been OFA Thyroid cleared and has a NORMAL rating for Elbows. Dillinger has an extremely high endurance with prey drive. He runs, pulls, hangs, and is very obedient that even my youngest child can handle him. Daughter, Grand Champion UAB’S Wicked Wicca Pearl has been proven one of the most healthiest females of the breed with OFA good hips tested at 12 and 24 months, PennHip of Right .43 Left .57 (BREED’s MEAN .60), OFA cardiac Clear, OFA Thyroid Clear, Ichthyosis Clear, Dm Clear, NCL Clear, and PLL clear. Wicca also has numerous working titles and also placed 9th in the county with Ultimate Air Dogs for her class. She also has earned about 7x best female in conformation shows with different venues. UAB’S Princess Leia’s Madness has OFA GOOD with her hips, OFA cardiac Clear, OFA Thyroid clear, Ichthyosis Clear, DM clear, NCL Clear, PLL Clear, HUU Clear. UAB’S Prometheus’s Madness has one of the best pennHips of the breed with a score of Right .43 Left .39 (BREED’s MEAN IS .60) , OFA Cardiac Normal, OFA Patella Normal (first of the breed to be tested). He recently earned 4x Best Of Breed and became best in show Reserve Champion for rare breeds in IABCA. Nothing fancy, just two of our best bulldogs being paired to produce the best we can. Expect some hard muscled bulldogs with high natural confidence and protective instincts.